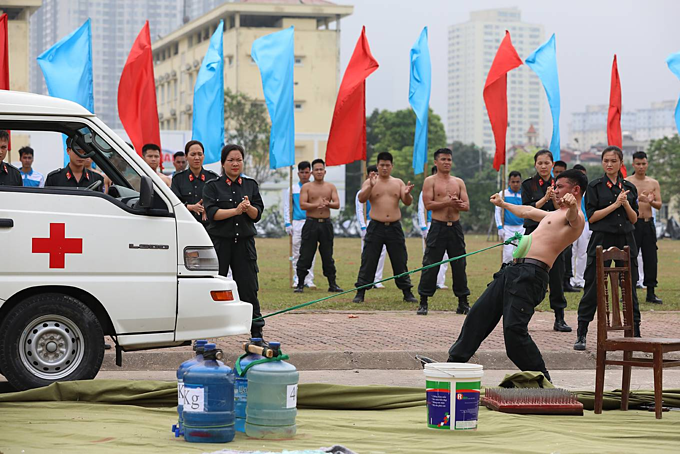 The 45th anniversary of the mobile police force was recently celebrated by its officers with an incredible exhibition of qigong and other physical skills. 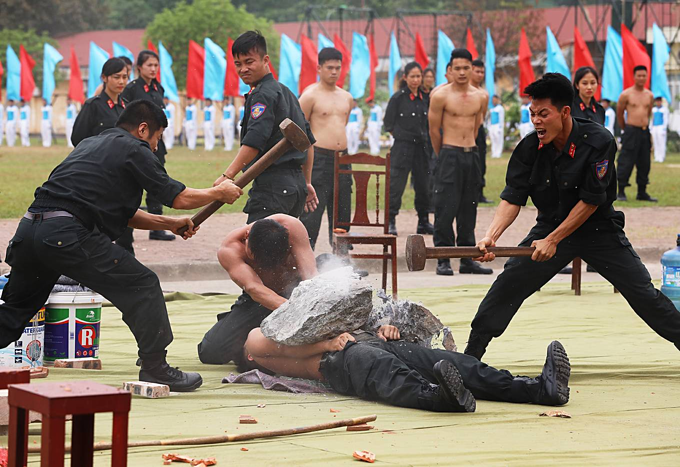 Lying on broken glass when a rock on one’s abdomen is being smashed with sledgehammers is a feat that requires using qigong techniques to prevent penetration by the glass pieces not to speak of withstanding the blows. The head is a vulnerable part of the body. 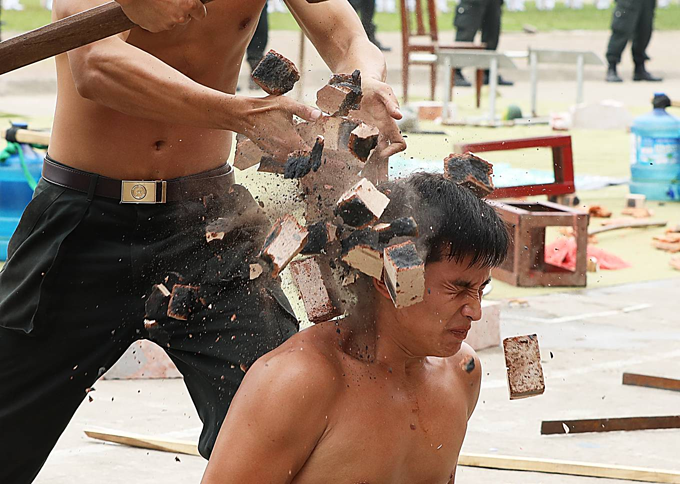 However, through rigorous training, an officer manages to withstand the blow of a sledgehammer to break bricks stacked on his head. An officer drops a knife on a colleague. 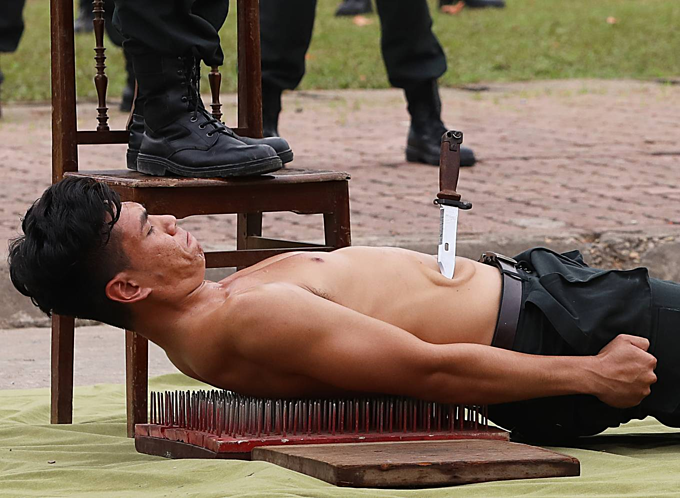 It is is a dangerous exercise but useful in the force since officers sometimes come up against criminals with sharp pointed objects. 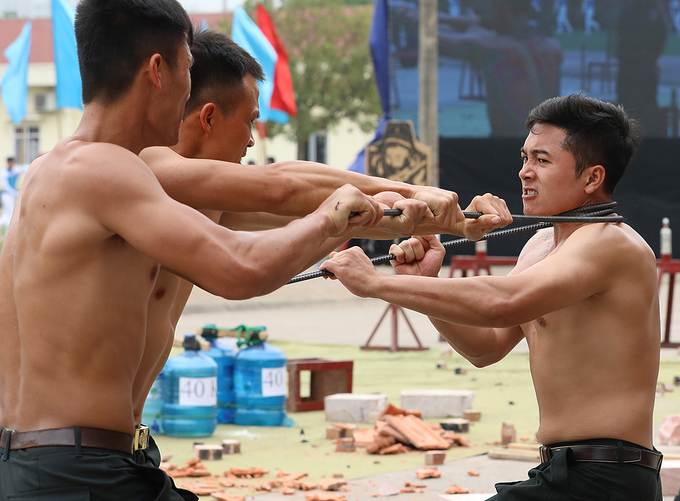 Another test of strength where a officer uses his neck to bend and straighten an iron rod. 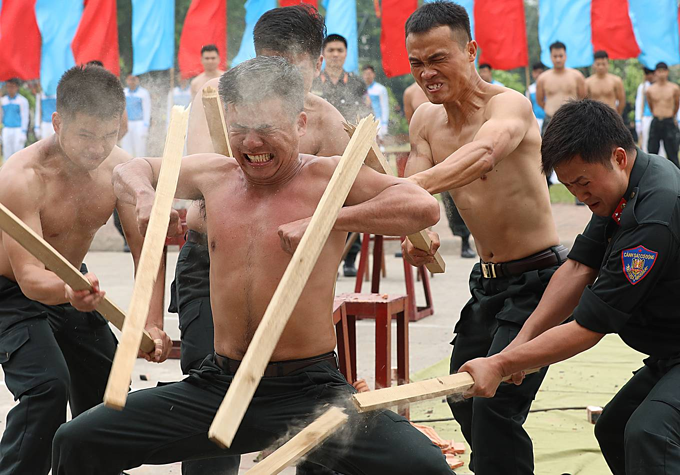 An officer breaks wooden staffs with his body. 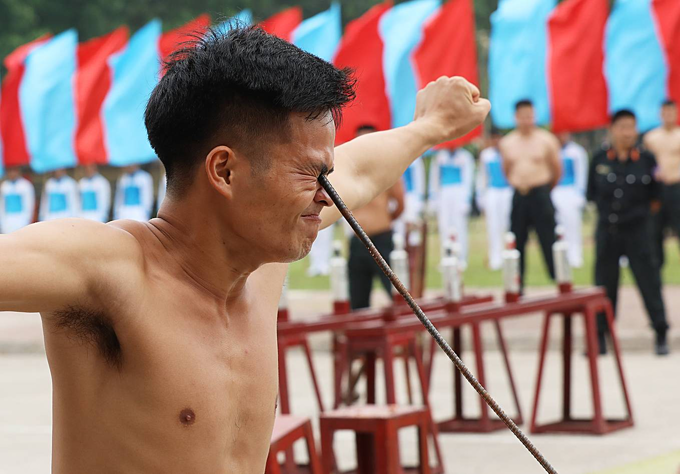 An officer uses qigong techniques and weak pulses in his body called acupoints to twist an iron bar with his eye. 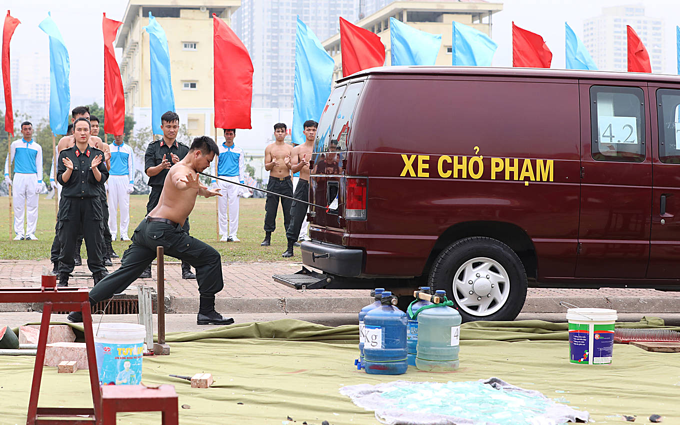 An officer places an iron bar against his larynx and pushes a 4.2-ton van with it. Another uses his abdominal muscles to pull a van. 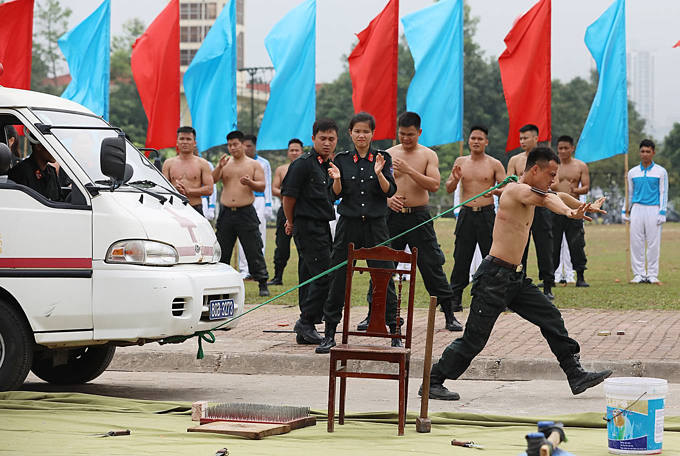 This officer holds a sword against his neck while pulling a 12-seat, 4-ton vehicle. 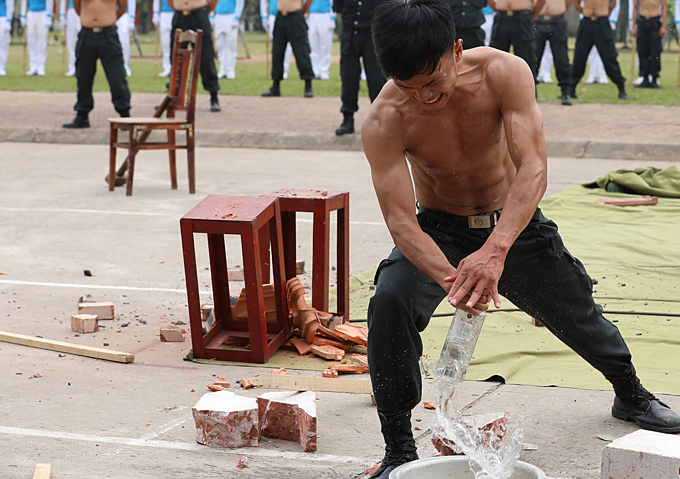 Using bare hand to break the bottom of a plastic bottle takes practice. 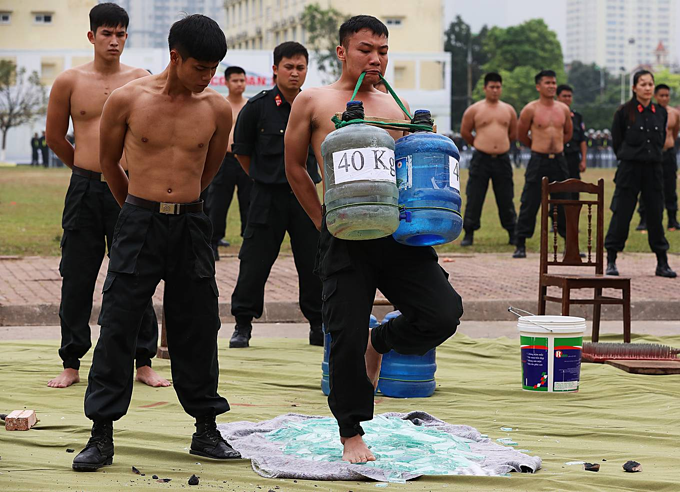 An officer carries 80 kg with his teeth while standing barefoot on broken glass.